Herriman • When Herriman High School Principal James Birch heard about the first student suicide last summer, he immediately thought of his own two teenagers and sat them down for a talk. But as the Herriman community’s grief gives way to frustration, students and staff question some of Utah’s strategies for addressing its youth suicide rate, which remains worse than most other U.S. states. Last week, after the two most recent deaths, a response team of about 30 school administrators and health officials formed, with plans to meet every other day. The high school has devoted nine counselors and a psychologist to helping students, and the Jordan Family Education Center has offered free counseling to school district patrons young and old. Still, officials are proceeding with caution. They worry revealing too many details about the deaths could glamorize them and spur sensational news coverage, potentially leading to copycats. But refusing to discuss the string of suicides could also be seen as unproductive and insensitive, especially to friends and family of the teenagers who have died. Parent Erin Preston gave an impassioned plea last week to bring the issue out into the open. Her son Oliver, she said, called a suicide hotline earlier this school year to report worries about a friend. In an interview, Oliver Preston, a sophomore, said there is almost nobody at the school who has not been affected. The youth said teen suicide should be discussed differently. He described himself as an isolated kid and lamented how adults too often try telling students how wonderful life is in hopes of dispelling suicidal thoughts. Despite the range of steps school and district officials have taken this year, news of each death has left them devastated and exasperated: There are few easy or clear answers on how to fix the problem. Before spring break began Monday, Birch sent parents an email listing counseling and suicide prevention resources, including Utah’s Suicide Prevention Coalition and the state Board of Education. He said he also wanted families to be aware of the SafeUT smartphone app, which provides a confidential way to report concerns about someone in crisis. “We’re racking our brains,” the principal said. Statewide, the Herriman deaths come as officials have sought to step up suicide prevention efforts in recent years, in light of alarming trends. Researchers with the federal Centers for Disease Control and Prevention (CDC) — deployed to Utah last year to study its rising suicide numbers — released a report confirming the state’s youth suicide rate had more than doubled between 2011 and 2015, growing four times faster annually than the national average. The CDC said Utah could be using prevention programs and resources in schools that are proven to work, but isn’t. After a dip in total youth suicides in 2016, the numbers climbed again in 2017 to a preliminary 42, according to Utah Department of Health figures. Gov. Gary Herbert formed a community task force earlier this year to address the problem. Lawmakers responded with several bills, including one to boost the number of mental-health crisis teams around the state and another to ensure the state’s crisis hotlines are adequately staffed. Anyone experiencing suicidal thoughts is asked to call the 24-Hour National Suicide Prevention Hotline, 1-800-273-TALK (8255). Utah also has crisis lines statewide, and the SafeUT app offers immediate crisis intervention services for youth and a confidential tip program. A national toolkit for suicide response recommends dealing with multiple suicides using counselors and other mental-health screening tools to identify those at risk. Were it up to Birch, Herriman High would have more counseling help walking the halls. Though the school currently has nine counselors — more than most schools — a student population of about 2,700 means there is one counselor for every 300 students. 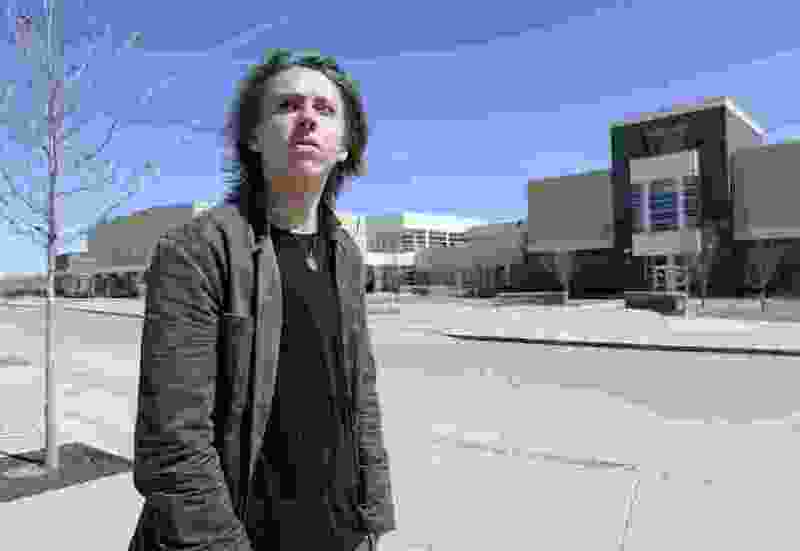 The school brought in a motivational speaker in March, and national suicide-prevention expert Scott Poland will be on site April 16 to give training sessions to staff, as he has done in other communities facing multiple youth suicides. Poland, a psychology professor at Nova Southeastern University in Florida, said in an interview that all community members — not just educators and parents — need to keep an eye out for kids exhibiting suicidal behavior. More people need to learn the warning signs, Poland said — depression; out-of-character behavior; a preoccupation with death; or statements about feeling hopeless, helpless or worthless. Then they need to follow through in reporting the behavior to parents and counselors. Poland also urges follow-up safety plans to ensure that vulnerable students are being closely watched and receiving the attention they need. “We’ve got to get all the adults trained first, then we’ll move into providing good information for students,” said Poland, who has conducted similar trainings hundreds of times around the country. Utah experts said they are in the early stages of investigating the Herriman deaths and other youth suicides in the surrounding area. They don’t want to label the cases a suicide “cluster,” or describe it as a “contagion,” without information that indicates the deaths are tied together beyond geography. Clusters of teen suicides — defined as at least three deaths in a short time frame and in close proximity — have occurred in recent years in Colorado, California and Arizona. CDC experts arrived in Ohio this week to study a cluster of 12 teenage suicides in Stark County since August. Michael Staley, suicide research coordinator with the Utah Office of the Medical Examiner, is handling the Herriman investigation. He said Tuesday he plans to start psychological autopsies on the teens shortly, including digging into data that could shed light on their school and health histories, and interviewing their parents and friends for signs of what motivated them. Meanwhile, Staley said, he is also helping lead the group of state and local health and education officials, which began meeting regularly last week, to ensure Jordan School District has all the resources it needs. Suicide contagion — where one death appears related to another — only makes up between 1 percent and 5 percent of all suicide deaths nationally each year. And despite using similar terminology, contagion in suicide is multifaceted and has nothing to do with infectious diseases, said Kim Myers, suicide prevention coordinator for the Utah Department of Human Services. Teens are susceptible to a suicide contagion effect “because they may identify more readily with the behavior and qualities of their peers,” according to the toolkit designed by the Suicide Prevention Resource Center, meant to help schools dealing with suicide. A 2001 study found teens who know someone who has attempted suicide are three times more likely to attempt it themselves. But, like Staley, Myers warned it was important not to jump to conclusions about clustering or contagion in the Herriman suicides before more of the investigation is completed. Earlier this school year, Herriman students started a Hope Squad — meant to identify and help struggling kids — and they organized a Hope Walk attended by about 600 of their peers and staff. The Hope Squad was a good idea, said sophomore Logan Christiansen, but allowing students to nominate others for the group can be problematic. Parent Erin Preston, who addressed the Jordan Board of Education last week, said she supports efforts such as Hope Squads. But she worried that too much responsibility for addressing mental-health issues in schools is being placed on students. Birch pointed out that students are capable of hiding depression well. Hope Squads, he said, allow friends and classmates to be eyes and ears for administration. Over an emotionally agonizing school year, the principal has reached out to community leaders. He’s brought in experts and appealed to the friends of struggling students. He’s encouraged students and his staff to get counseling — and he recently sought counseling himself. If any students out there are thinking of killing themselves, Birch pleaded, go tell someone.